DuraVu patio doors are quality made for long term reliability. Wood framed clad in low maintenance vinyl, our patio doors comes in a variety of sizes and panel configurations, as well as decorative grills. 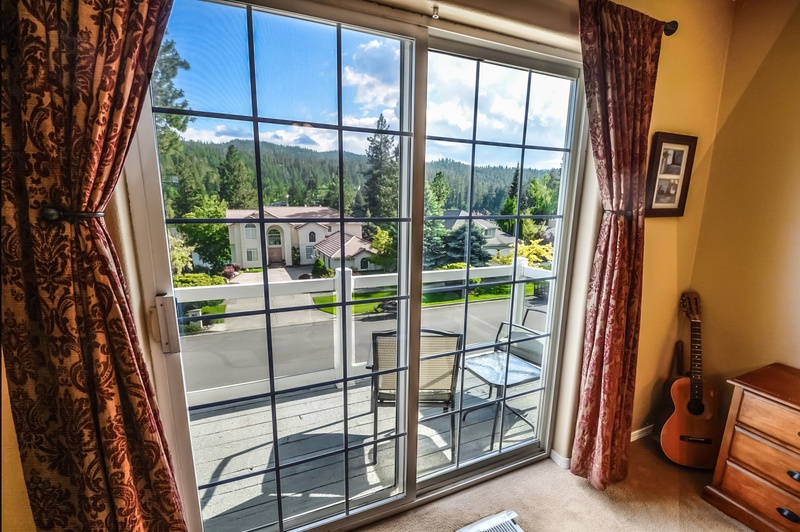 Our patio doors are ENERGY STAR® approved for energy efficiency that saves you money. The DuraVu Ultra series patio door offers the very best in design and quality for long term performance and stunning design. The cut-away diagram demonstrates its many features and benefits. 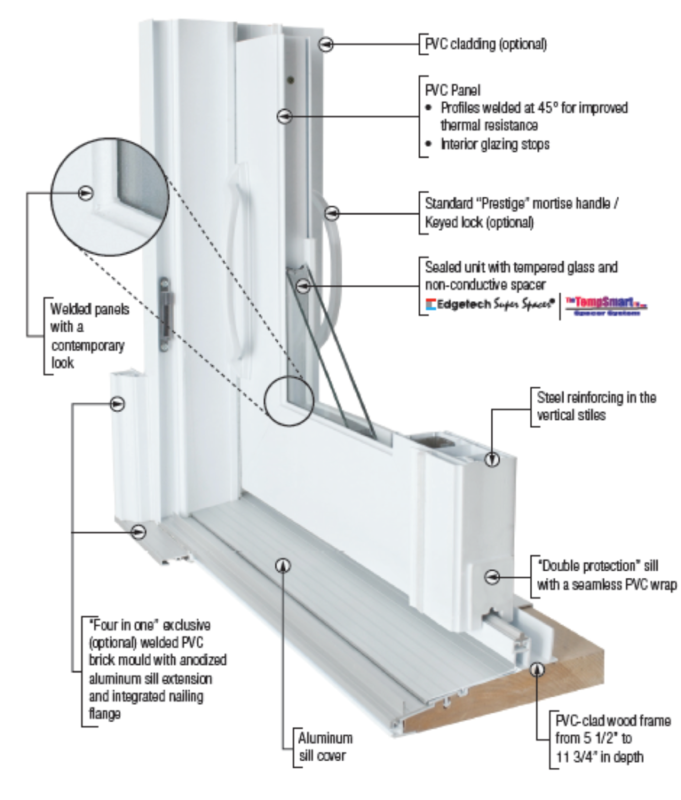 Low-E glass and warm space technology ensure energy efficiency. The vinyl clad wood frame and fusion weld corners with steel reinforced stiles optimize strength and durability for long term performance. Available security bar, foot lock, double point mortise lock and keyed lock provide security and peace of mind. Available with transoms and sidelites these patio doors can be beautifully custom made to your style. Our sliding glass patio doors are custom designed and manufactured specifically for your home that means the price varies on the options and upgrades selected. Sliding patio doors come with a 20-year limited warranty. See your DuraVu consultant for details.